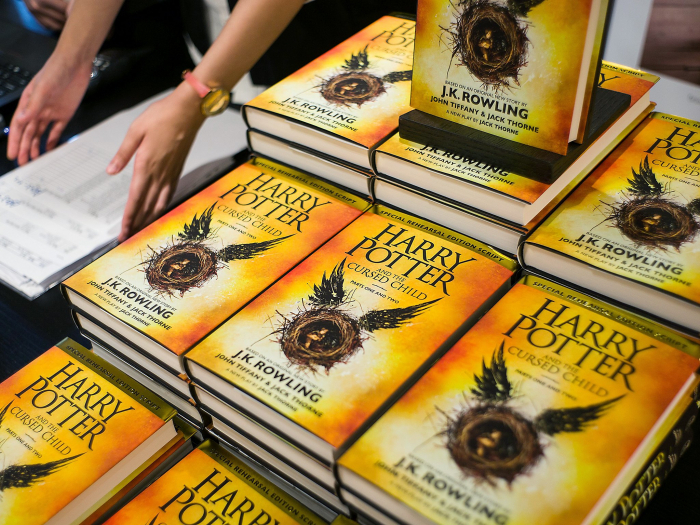 A Catholic priest in northern Poland who led a public burning of the Harry Potter books and other items parishioners claimed carried “evil forces” has apologised. Rev Rafal Jarosiewicz expressed his regret on Facebook and said the burning of objects linked to magic and the occult was “unfortunate”. Images from the burning ceremony at Gdansk’s Mother of Church parish on Sunday were posted on social media by the evangelical Catholic foundation SMS z Nieba (SMS from Heaven), led by Rev Jarosiewicz. In the now-deleted pictures, an African wooden mask, figurines of elephants, books on magic and books from the famous series by JK Rowling were seen to have been consumed by the flames. A priest and altar boys were captured watching the burning of the books and other items, all brought in by parishioners. The foundation said the burning was intended to alert parishioners to the bad influence emanating from magic and the occult. In his apology, Rev Jarosiewicz claimed the gesture had not been aimed at books “as such”. Comments under the original post condemned the act, recalling book-burning during Nazi rule in Germany before the Second World War. “Can’t you see how sick this is? What are your plans next, burning witches?” another critic wrote. “As a Catholic, I don’t agree with you, burning books is stupid,” another added. The incident was condemned by the Rev Wojciech Parafianowicz, spokesman for the diocese of Koszalin, where the evangelical foundation is based. He said he “did not like this form of priestly activity, which is wrong”. Rev Jarosiewicz was fined following the incident and an anti-smog group has contacted prosecutors about the open fire, according to the Associated Press. The book-burning comes as Poland’s influential Catholic Church is grappling with revelations about the scale of child abuse among its priests. Last month, the Episcopal Conference of Poland released a report revealing that nearly 400 clergies in the country had been accused of sexually abusing minors over the last three decades.